I had the incredible pleasure to be interviewed by Voyage LA. 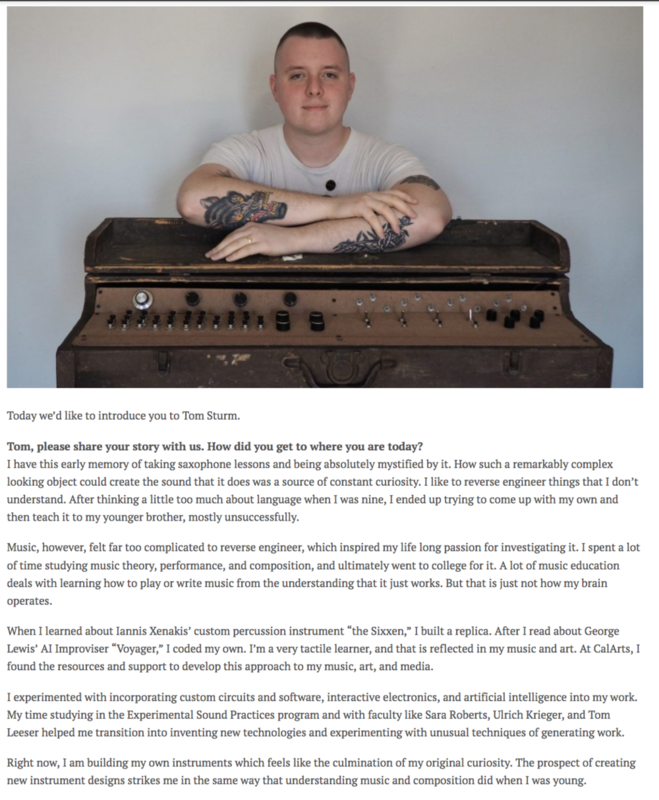 It was an incredible opportunity to discuss my inspirations, collaborations with Sam Calvetti, custom instruments (specifically the, the fight-o-meter, and the fiber synth). Check out the full interview here.